​The Promise of Eminent Revival Bundle arrived in Wednesday's main client update to Dota 2. It is available only to Battle Pass owners who have reached level 615 and includes items from five previous Immortal Treasures to commemorate the history of The International. 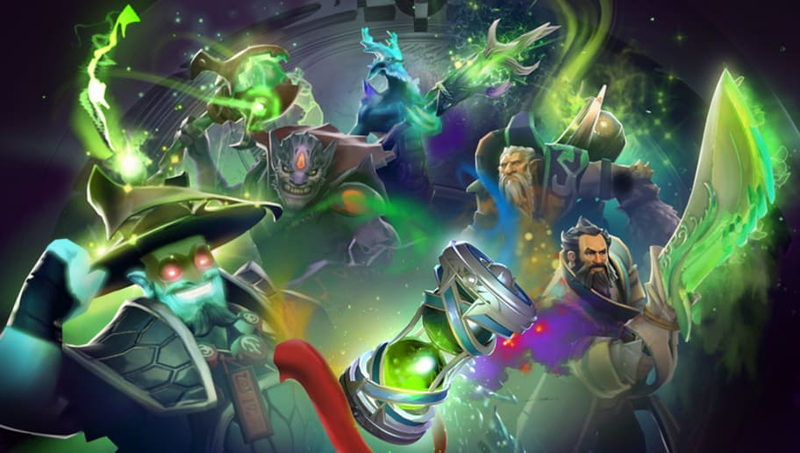 The ​Dota 2 items include the Cauldron of Xahryx of Eminent Revival, the Leviathan Whale Blade of Eminent Revival, the Lightning Orchid of Eminent Revival, the Fin King's Charm of Eminent Revival, and the Tormented Staff of Eminent Revival. Each of the items in the bundle has been redesigned from their original incarnations to match the theme of TI8, and players can unlock a further upgraded style through play. The items will not be available for purchase or trade on the marketplace. Also arriving in the update are new lore-based tips, hero-specific tips, and updates to existing tips. These tips will now display when the game is paused. The past two main client updates have focused on ​Dota Plus and Battle Pass changes and ​spectating bugs, respectively.